Lake Matheson. 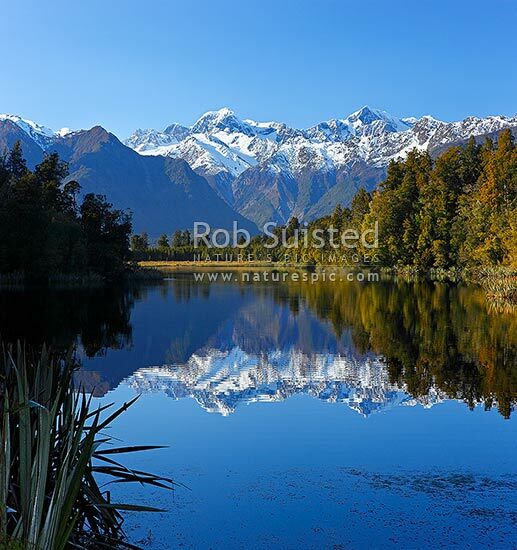 Morning calm reflections on lake with Aoraki / Mount Cook (right;3754m) and Mount Tasman (left;3498m). Square format, Westland National Park, Westland District, West Coast Region, New Zealand (NZ), stock photo.